Energy Saving Lighting Blog: Why are LEDs Becoming So Popular? Why are LEDs Becoming So Popular? You’ve probably been hearing a lot about LED light bulbs lately. Everyone’s touting them as the next big thing for everything from kitchen lighting to bathroom lighting to utility lighting. But if you’re not too familiar with this new technology, you might be wondering why they’re so popular now. We’re here to answer that question. Cost Efficient — LED lamps not only save you money on your electric bill through lower wattage bulbs, but they last longer, saving you money on replacement costs. 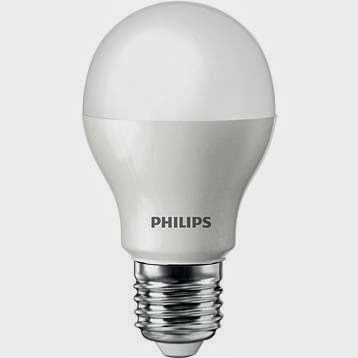 You can often expect LED bulbs to last thousands of hours longer than incandescent bulbs. Energy Efficient — LED light bulbs are able to produce the same amount of light using far fewer watts. Incandescent bulbs often waste energy by producing heat, but LED light bulbs are much more efficient at turning power into light. Compact — LEDs can produce quite a bit of light from a tiny bulb, making these bulbs perfect for lighting in tight spaces, like in under-cabinet lighting. For creative lighting projects or small spaces, LED bulbs are the best. Better for the Planet — It’s probably not a surprise that LED bulbs are better for the environment, but it’s an important reason why LEDs are better than the old technology behind incandescent light bulbs. By consuming less energy, LEDs create less carbon dioxide than old light bulbs. Additionally, fewer LEDs pile up in our landfills because the bulbs outlast incandescents many times over, and the LEDs that do end up in our landfills don’t come with the toxic chemicals, like mercury, that you’ll find in other bulbs. Have you made the switch to LED lights yet? What made you decide to make the switch? Let us know in the comments!